How to prevent falls, poisonings, and accidents - Focus on safety. The top four causes of death in the United States are heart disease, cancer, stroke and chronic lower respiratory diseases. Accidents and unintentional injuries are the fifth most common cause of death, and the number of accidental deaths exceed those caused by diabetes, Alzheimer's disease, influenza, kidney disease or bacterial infections. The most frequent types of accidental deaths are motor vehicle traffic accidents, unintentional poisonings, and unintentional falls. This page discusses what you can do to reduce these risks. Statistics from the CDC show that three quarters of all accidental deaths are due to traffic accidents, poisonings, and falls. Many accidental deaths can be avoided by adopting common sense safety measures, but not all accidents can be avoided. The newspapers frequently write about cases where a tree falls on a vehicle or a home during a storm and kills one or more occupants, while other cases involve near misses where a person avoids death by a few inches or seconds. A non-fatal accident can change the rest of your life forever, and a fatal accident has financial and psychological consequences for your family and friends. The best strategy for avoiding accidents is to be aware of your surroundings, and take preventive measures where possible. Most cases of poisoning and fatal falls occur in the home. Poisonings are usually caused by overdoses of prescription medicines which are taken either through forgetfulness or in an attempt to get faster and more thorough relief. Death from traffic accidents and falls usually results from impacts to the head or massive bleeding from cuts or internal injuries. Accidents that cause breakage of bones may not cause death immediately, but they reduce the quality of life and make death more imminent. Make sure your car is in good working order, including brakes, lights and wipers. Wear your prescription glasses if required for driving. Keep windows clean of dirt, snow, or condensation. Stay alert while driving. Don't drive when tired. Adjust rear-view mirrors and side mirrors so that you can change lanes and pass safely. Check level of gas, oil, and windshield washer fluid before driving. Avoid driving in the rain at night, if possible. Don't drive on roads covered with snow or water. When driving at night on a highway, watch out for deer and other animals crossing the road. Don't hang objects from a mirror that may dangle and distract you. Drive at a safe speed. Don't follow other cars too closely so that you have enough time to brake or maneuver. 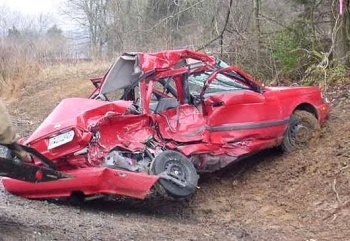 Don't use your cell phone while driving. Stop to use the phone. If somebody tailgates you, use your turn signals and change to another lane. When driving, you always have to watch out for other vehicles. Many accidents occur as a result of road rage, driving while intoxicated, or unusual maneuvers by new drivers who lack experience. You will be safer by staying out of the way of irresponsible drivers. In 2008, more than 36,000 people died from drug overdoses, and most of these deaths were caused by prescription drugs. Every day, nearly 82 people die as a result of unintentional poisoning and another 1,941 are treated in emergency departments. As shown in the chart, unintentional poisoning deaths in the United States increased by 145% from 1999 to 2007. 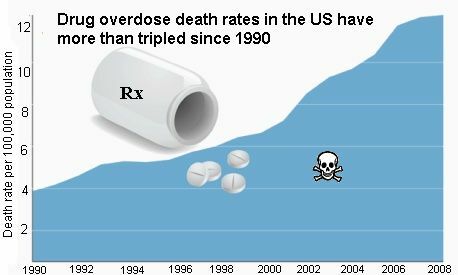 Drug overdose death rates in the US are at an all-time high, and have more than tripled since 1990. Prescription painkillers have now surpassed heroin and cocaine as the leading cause of fatal overdoses. The drugs causing the most deaths are prescription opioid painkillers such as oxycodone, hydrocodone, fentanyl, morphine and methadone. Fortunately, there are oxycodone, hydrocodone, morphine, methadone and fentanyl addiction treatment centers that can help prevent fatalities from abuse of these painkillers. Many deaths are also caused by antipsychotic medications such as clozapine and risperidone (Risperdal), as well as overdoses of non-prescription painkillers, such as acetaminophen (Tylenol). Acetaminophen can cause irreversible and sometimes fatal liver damage in doses that are not much higher than the recommended dose for headaches and muscle pain. Overdose of painkillers generally occurs when a patient is unable to get sufficient pain relief with the prescribed dosages of the drug. Taking excess medication may not provide additional relief, but it increases the chances of overdose and death. Some pain medications, like methadone, can be fatal when combined with certain antidepressants, sedatives or cardiac medicines. Another problem with opioid painkillers is that they are generally addictive or produce euphoria. Many deaths are due to abuse of these substances as a result of addiction. Thankfully, there are private centers for those who became addicted to methadone or any other painkiller. Some patients use multiple doctors to obtain prescriptions for painkillers and narcotics including OxyContin and Percocet, which can be abused easily and resold illegally. The misuse of prescription drugs results in about 475,000 emergency room visits annually, according to the United States Department of Health and Human Services. Click here to learn about drug addiction and rehabilitation. You can avoid poisonings by keeping track of your medications and by verifying with your doctor and pharmacist about possible toxic drug interactions between combinations of prescription or over-the-counter drugs. Many people who take multiple medications organize them in pill boxes that hold the medicines for each day of the week. This makes it possible to take the required medicine on the appropriate schedule and reduce the chance of overdosing. Make sure that your doctors know all the medicines that you are taking, specially when you are treated by multiple doctors. Write down the name of all your medications and the dosages. Take the medications only as prescribed. Be cautious when first taking a new medication; report any problems immediately to your doctor. Ask your pharmacist about drug interactions. Never take someone else's painkillers. Keep a diary of when you take your medicine, and how much you take. Organize your medicines in pill boxes. 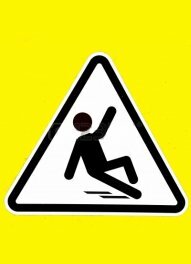 Falls that cause severe injuries, such as hip fractures and head traumas, can increase the risk of early death. Falls are the most common cause of traumatic brain injuries. In 2000, brain injuries accounted for 46% of fatal falls among older adults. Many of the fractures suffered during falls are caused by weak bones. According to the American Academy of Orthopaedic Surgeons, one of every two women and one of every four men over age 50 will suffer a fracture related to osteoporosis. Falls are the leading cause of injuries for adults 65 and older. The life expectancy of a person who has broken a hip usually decreases by five or six years. The reason for this is that the person becomes completely dependent on others and needs assistance with basic functions such as food preparation, use of the bathroom and personal hygiene. In the home, the most common mortal injuries are caused by falling down stairs, tripping on rugs, or slipping in the shower and injuring the head. These accidents can be prevented by using handrails, by keeping floors clear of obstructions and by using non-slip mats in the shower. In the winter, most falls are caused by slipping on snow, ice, or wet leaves. 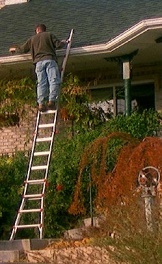 Falling off ladders is also common in the autumn and winter when people try to clean leaves from the roof gutters or hang Christmas decorations. Consuming alcoholic drinks impairs balance and muscular control. People who are drunk fall more frequently than sober people. Don't walk in dark places. Turn the lights on so that you can see where you are going. Wear your glasses if you need them to see clearly when walking. Nail down corners of rugs that curl up. Use non-slip backing for area rugs. Hold the handrails when using stairs. Use a rubber mat in the bath tub or shower. This is very important because soap makes the shower floor or bottom of the tub very slippery. Add sturdy grab bars inside and outside the tub or shower and next to the toilet. Many people are injured when they try to break a fall by holding a towel rack and it breaks. Keep tripping hazards, like toys and extension cords, off the floor. Untied shoes, sandals or high heels can cause falls on uneven floors and street grills. Don't walk on wet floors or icy sidewalks. 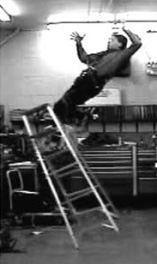 Use ladders safely. Make sure the ladder is firmly placed on a level surface and don't overreach. Use a walker or walking stick if you have problem maintaining your balance. Exercise regularly to maintain balance, coordination and muscle strength. Be specially careful when taking medicines that cause dizziness or drowsiness. Get screened and treated for osteoporosis to make sure your bones are strong. The rules for safety are based on common sense. Avoid tasks or activities that increase your chances of getting hurt. Learn from the mistakes of others and don't repeat their mistakes. Discard throw rugs at the top and bottom of stairs. Illuminate the way with light switches at the top and bottom of stairs. Single steps leading in or out of sunken rooms are a common hazard. Install lighting to reveal the step. Make sure staircases have two handrails at the right height for you. Do not put shoes or other objects on the stairs. Keep a clear, well-lit path from your bed to the bathroom. Install night lights. Put a lamp within reach of your bed. Arrange the furniture so that it does not block your path to other areas. Install grab bars in the shower, tub and next to the toilet. Use a raised toilet seat or raised add-on seat. Hook a phone within reach. Plug night lights into outlets. Replace burned-out bulbs inside and outside. Ask for help to reach high places. Install night lights throughout your home. Use bright bulbs to have good visibility. Make sure light is evenly distributed. Use lamp shades to reduce glare. Use a step stool with a support bar and never use a chair or counter stool to reach high places. Organize items that you use most within easy reach. Use non-skid, no-wax cleaner on the floor. Carry groceries with one arm and use the other arm to brace yourself. Install a phone within easy reach. Sharp knives and hot stoves pose the risk of cuts, burns and fires. Handle knives and hot items carefully. Have a first aid kit handy. Do not leave stoves unattended while in use. Stevens JA., Fatalities and injuries from falls among older adults – United States, 1993–2003 and 2001–2005. MMWR 2006a;55(45). Burden of Musculoskeletal Diseases in the United States: Prevalence, Societal and Economic Cost. Rosemont, IL, American Academy of Orthopaedic Surgeons, February 2008.